I made these whimsical Custom Logo InSciEdOut Accent Throw Pillows for my brother's school fund raising auction. The logo belongs to a "fish camp" he started that helps students and teachers get re-engaged with math and science. The two-year old program - maybe it's three years now - is so successful, the program is expanding into new schools. So how does one convey the idea that this "fish camp" is not your average summer romp? I decided to put a fish tail on this 11x14 travel size, all cotton pillow featuring the InSciEdOut logo printed on our Color Plus Fabric blocks, as well as a handle on top so that it can be easily carried. The back of the Custom Accent InSciEdOut Throw Pillows feature a flap for easy removal of the pillow fill. 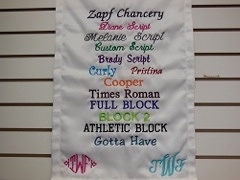 We can create a custom accent pillow for your logo; just send us a jpg of the design we can print onto fabric. 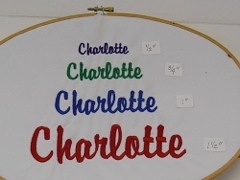 You can also easily make these into personalized gifts by adding someone's name embroidered either on the front or back. Charming additions to any school, agency, or fundraiser. If you need a different size, just let us know for a free, no-obligation quote.